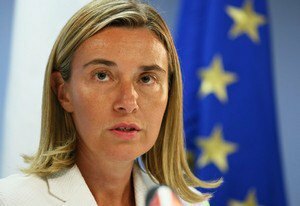 The High Representative of the European Union for Foreign Affairs and Security Policy, Federica Mogherini, has urged the Russian authorities to release the Ukrainian pilot, MP, Nadiya Savchenko, Mogherini reports in her official statement, the "Interfax-Ukraine" citing. She has emphasized that Savchenko’s case is not just a court or political case, but the issue of human compassion. "Her release will correspond to the international obligations of Russia in human rights as well as the "Package of measures on implementation of the Minsk agreements" and the obligations according to this document to release all the hostages and detained connected with the conflict in the eastern part of Ukraine. These are the grounds for me to urge the Russian authorities to immediately and unconditionally release Ms. Savchenko regarding the humanitarian considerations," the statement says. Mogherini has also noted that she personally follows Savchenko’s case. "The state of her health is quickly worsening and we all are afraid of terrible consequences," she added. As reported before, deputies of the European Parliament had offered to initiative the "Savchenko list" by sample of the "Magnitsky list."